Hundreds of protesters have taken to the streets in Washington, D.C., and other parts of the country to voice their opposition to Brett Kavanaugh, but there is now a whole other group of people opposing the Supreme Court nominee. As of Thursday morning, more than 1,700 law professors have signed a letter addressed to the Senate stating Kavanaugh is unfit to serve on the nation’s highest court. “We regret that we feel compelled to write to you, our Senators, to provide our views that at the Senate hearings on Sept. 27, Judge Brett Kavanaugh displayed a lack of judicial temperament that would be disqualifying for any court, and certainly for elevation to the highest court of this land,” reads the letter. The New York Times shared the letter, as well as the list of professors who have signed it thus far. The professors from dozens of law schools continued to cite examples of how Kavanaugh’s temperament was unchecked during his testimony before the Senate Judiciary Committee last week. Senators received the FBI report of its investigation into sexual assault accusations against Kavanaugh this week and reviewed it on Thursday. Senate Majority Leader Mitch McConnnell filed a motion to schedule a final confirmation vote on Friday. Most lawmakers from both parties have stated how they will vote on the judge’s nomination. This week, a viral video was posted on YouTube that showed Kavanaugh explaining in 2015 the importance of judges maintaining their composure when making key decisions, and used a sports analogy to compare judges’ roles to that of a referee or umpire. The clip was edited to cross-cut between this speech and the testimony Kavanaugh delivered before the Senate last week following that of his accuser, Dr. Christine Blasey Ford. We are law professors who teach, research and write about the judicial institutions of this country. Many of us appear in state and federal court, and our work means that we will continue to do so, including before the United States Supreme Court. We regret that we feel compelled to write to you, our Senators, to provide our views that at the Senate hearings on Sept. 27, Judge Brett Kavanaugh displayed a lack of judicial temperament that would be disqualifying for any court, and certainly for elevation to the highest court of this land. The question at issue was of course painful for anyone. But Judge Kavanaugh exhibited a lack of commitment to judicious inquiry. 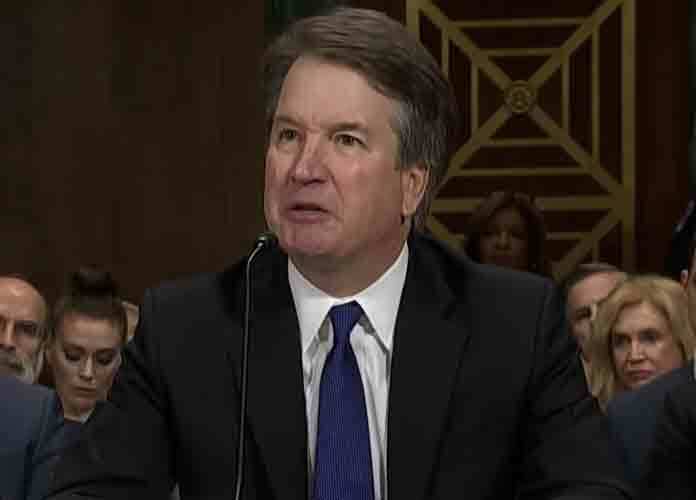 Instead of being open to the necessary search for accuracy, Judge Kavanaugh was repeatedly aggressive with questioners. Even in his prepared remarks, Judge Kavanaugh described the hearing as partisan, referring to it as “a calculated and orchestrated political hit,” rather than acknowledging the need for the Senate, faced with new information, to try to understand what had transpired. Instead of trying to sort out with reason and care the allegations that were raised, Judge Kavanaugh responded in an intemperate, inflammatory and partial manner, as he interrupted and, at times, was discourteous to senators. As you know, under two statutes governing bias and recusal, judges must step aside if they are at risk of being perceived as or of being unfair. As Congress has previously put it, a judge or justice “shall disqualify himself in any proceeding in which his impartiality might reasonably be questioned.” These statutes are part of a myriad of legal commitments to the impartiality of the judiciary, which is the cornerstone of the courts.